Eugene G. Pedachenko born 21.10.1949, the academician of the National Academy of Medical Sciences of the Ukraine elected on 28.12.2011 in the specialty of neurosurgery, Doctor of Medical Science (1984), professor (1991), Honored Scientist of Ukraine (1999), State Prize Laureate of Ukraine in Science and Technology (2008), AMS Ukraine Awardee in clinical medicine (2000), Comsomol Central Committee of Ukraine Prize winner in science (1982), research supervisor of the Department of Miniinvasive and Laser Spinal Neurosurgery of the Romodanov Neurosurgery Institute (1995). Vice-President of the World Federation of Neurosurgical Societies (2013-2017), Chief Neurosurgeon of the Ministry of Health of Ukraine (1993-2017), Chairman of the Scientific Medical Council of the Ministry of Health of Ukraine (1994-2002). Prof. E.G. Pedachenko is a world recognized neurosurgeon, and has been invited to perform operations at many clinics abroad and also as a lecturer on the newest neurosurgery technologies (Austria, Germany, Spain, Russia, USA, Switzerland and other countries). He has been the participant (as a lecturer) of the international congresses, conferences and seminars on neurosurgery in more than 50 countries. He is one of the founders of the modern mini-invasive neurosurgery in Ukraine and the organizer of neurosurgery service. His main research interests include: (a) head injuries (development of a modern concept of closed cranio-cerebral injury pathogenesis, basic principles of geriatric and somatic research trends in neurotraumatology and gene therapy, scientific substantiation of diagnosis and treatment standards, and elaboration of computer expert systems); (b) mini-invasive interventions in spinal neurosurgery and a development of ambulatory neurosurgery (scientific substantiation, development and introduction of percutaneous and endoscopic interventions); (c) scientific substantiation of creating neurosurgical service in Ukraine and introduction of clinical protocols; and (d) history of neurosurgery development. Prof. E.G. Pedachenko is the author of 43 monographs, handbooks and manuals, some of which have been published in Italy, Russia and USA. He has more than 600 scientific publications, 42 innovations and patents. He had prepared 12 doctors and 38 candidates of science. . He is member of the World, European and Ukrainian neurosurgery associations, neurotraumatic board of the World Federation of neurosurgery societies, an honorary member of the Russian Neurosurgery Association, a member of the Royal College of Surgeons (USA), and a member of the American (USA) and European associations of mini-invasive spinal surgery. Prof. Pedachenko is an academician of the World Academy of Neurological Surgery (WANS), Polish Medical Academy, European Neurotraumatologic Academy and Albert Schweizer World Academy. Prof. E.G. Pedachenko is a member of the editorial boards of the leading neurosurgical journals, including “Issues of Neurosurgery named after N.N. 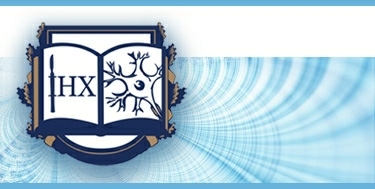 Burdenko” (Russia), “Neurosurgery” (USA), “World Neurosurgery” (USA), “Journal of Minimal Invasive Spinal Technique” (USA), “Internet Journal of Minimal Invasive Spinal Technology” (USA), “The Lancet Neurology (Ukrainian edition)” and others. Eugene Pedachenko is a recipient of the Order of Prince Yaroslav the Wise, the Medal “In Commemoration of the 1500th Anniversary of Kiev”, as well as the Honorary Diplomas of the Presidium of the Supreme Council of the Ukrainian SSR and Ukraine, the great gold medal of the World Academy of Albert Schweitzer, the insignia of the Ministry of Internal Affairs of Ukraine, border services, church denominations. His main scientific works: “Multiple traumatic intracranial hematomas” (1988), “Cranio-cerebral injuries and general somatic pathology” (1992), “Reference-Book on Neurotraumatology” (1994, 1999), “Modern concepts about pathogenesis of the closed cranio-cerebral injuries” (1996), “Clinical manual on cranio-cerebral injuries”, volumes 1,2 and 3 (1998, 2001, 2002), “Endoscopic spinal neurosurgery” (2000), “The Practice of Minimally Invasive Spinal Technique” (2000, 2005), “Neurosurgery service in the regions of Ukraine” (2005), “Punctional vertebroplastics” (2005), “Cranio-cerebral injury: current principles of emergency aid” (2007), “Kiev neurosurgery at the pre-war years” (2009), “Cranio-cerebral injury: current principles of emergency medical service” (2009), “Polytrauma: surgery, traumatology, anesthesiology, intensive care” (2012), “Diagnosis and treatment of discogenic neurocompressive syndromes of the ridge” (2014), “Traumatic acupuncture of the spine and spinal cord” (2017).